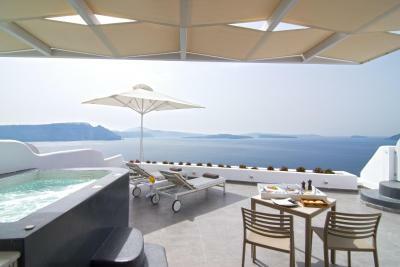 Lock in a great price for Santorini Secret Suites & Spa, Small Luxury Hotels of the World – rated 9.3 by recent guests! The manager Manos was exceptional. He was concerned about our whole experience . I fell and dislocated my shoulder and he came with the ambulance to hospital and took off several hours of his very busy day to push for me to be properly treated at the hospital . I am so thankful to him . Premier location in Los. Stunning views. Very clean and friendly staff willing to serve. All of the staff were beyond helpful and friendly! Beautiful views plus amazing drinks and food! We would go there again!!! the staffs, the view from the room, service, and location are perfect! Services provided were good. Breakfast was excellent. Service was amazing...everyone made us feel so welcome and went out of their way to book reservations (with rides to dinner) for us. They also told us non-touristy places to check out that were definitely worth it. The room we had was also really clean and nice. Wide breakfast selection that they serve to you on your private patio each morning overlooking the caldera. I would highly recommend staying here. Having left here and am now spending our last two nights in Fira, I wish we had Just stayed here these 2 nights at this hotel. Fantastic stay!! Quite simply one of the best hotels that I have stayed in worldwide - and we have travelled extensively and stayed in a large number of super luxurious hotels worldwide. 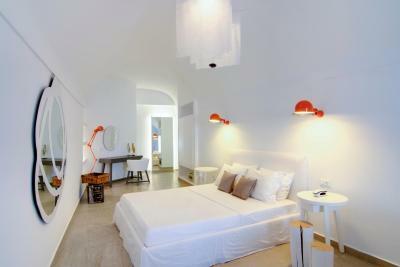 What differentiated Santorini Suites was the attention to detail by the staff. From the GM Alex, his assistant manager Manos, sommelier Fitos, barman extraordinaire 'Shorty' to all the girls in reception and the staff elsewhere in the property, nothing was too much trouble. Hospitality is very much alive and well in Greece. Everyone, to a man and woman, were courteous and friendly, always ready with a smile. We stayed in the honeymoon suite which was quite simply - superb. There is no question that we will not return - had it not been the last day of the season when we left (1st November), we would have locked ourselves in the suite and refused to leave! 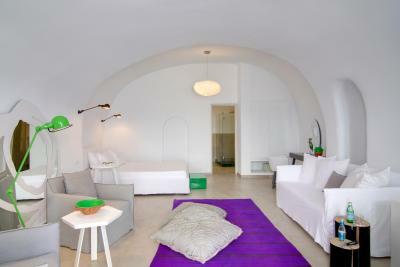 Bravo Alex and Manos....you have created a gem in the Cyclades! We were upgraded to the best suite in the resort with our own private pool. The staff was absolutely fantastic. They were like family to us. 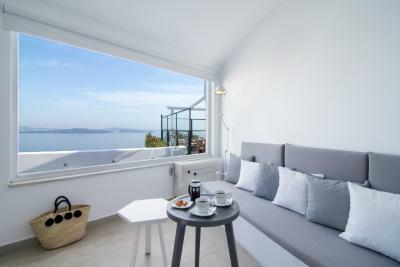 Santorini Secret Suites & Spa, Small Luxury Hotels of the World This rating is a reflection of how the property compares to the industry standard when it comes to price, facilities and services available. It's based on a self-evaluation by the property. Use this rating to help choose your stay! Breakfast is daily served at your villa or suite. 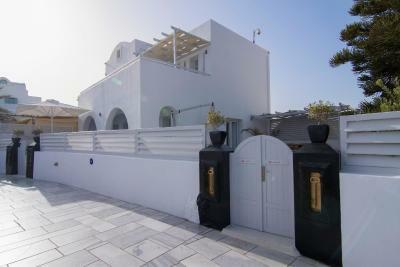 The main restaurant of the hotel, Black Rock, serves fine Mediterranean cuisine. Refined treatments are available at the on-site Harmonia Spa. Popular activities in the area include sailing and snorkeling around the volcano. Santorini International Airport is 11 mi away and Athinios Port is 12 mi away. Free WiFi is available throughout and free private parking is possible. 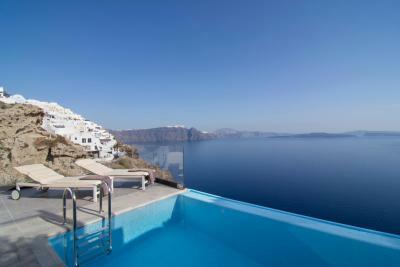 When would you like to stay at Santorini Secret Suites & Spa, Small Luxury Hotels of the World? 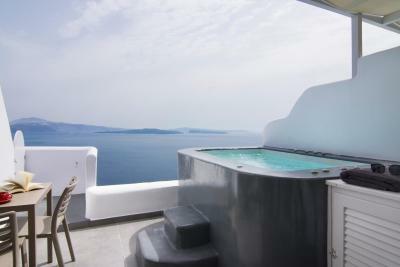 This air-conditioned suite has a panoramic balcony with private outdoor hot tub, sun beds and outdoor dining area. 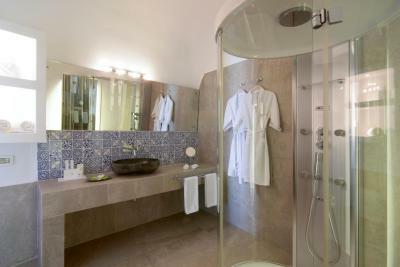 It includes an open-plan bedroom, living area and bathroom with a glass cabin shower with hydromassage jets or bathtub. A flat-screen TV is offered. 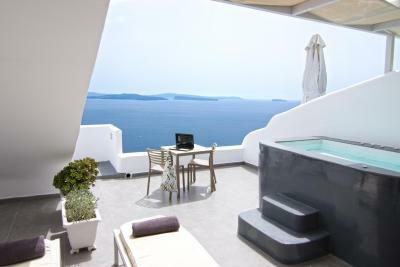 Featuring Caldera View, this air-conditioned suite opens out to a large panoramic terrace with a private, outdoor infinity pool. 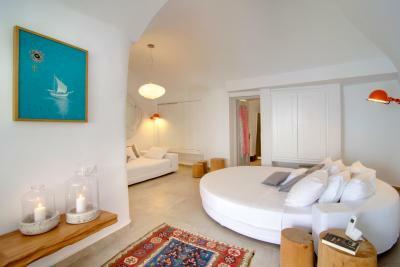 It has a spacious bedroom with wooden round bed, adjoining living area and private fitness area. 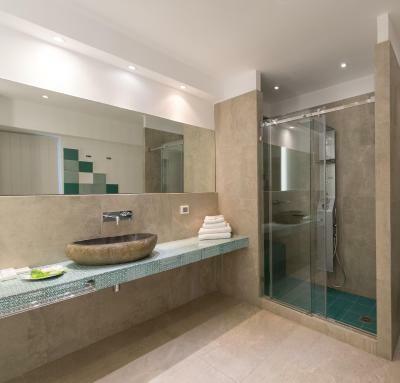 The bathroom includes shower with hydromassage jets and a separate steam room with rain shower, aromatherapy, chromotherapy and tropical music. A flat-screen TV and a mini bar are also available. 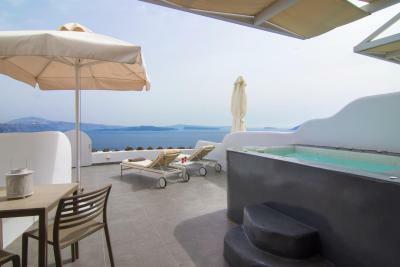 Featuring Caldera View, this air-conditioned suite features a private balcony with outdoor pool, sun beds and outdoor dining area. It includes a spacious bedroom with adjoining living area and a bathroom with glass cabin shower with hydromassage jets or bathtub. 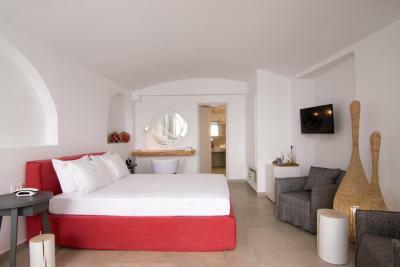 Guests are benefited with a flat-screen TV and a seating area with a sofa. Featuring Caldera View, this open-plan suite with a panoramic balcony with private, outdoor hot tub, sun beds and outdoor dining area. It also includes a living area and a bathroom with a glass cabin shower with hydromassage jets. Features a private terrace with outdoor hot tub, sun beds and outdoor dining area. It also includes a spacious bedroom with open-plan living area, and a bathroom with a glass cabin shower with hydro-massage jets or spa bath. 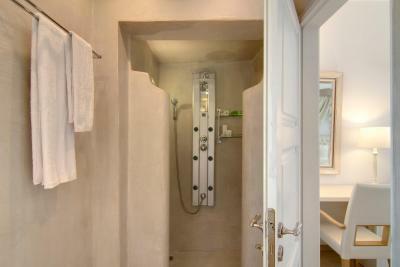 This suite is soundproofing and fully air-conditioned, also guests are benefited with a private entrance. Please note that the 3rd person can sleep either on an extra bed or sofa. 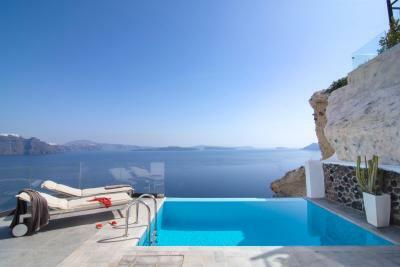 Featuring Caldera View, a private terrace with outdoor infinity pool, sun beds and dining area. 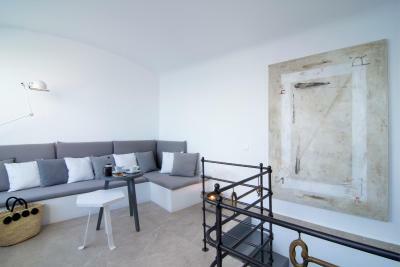 It has a spacious bedroom, separate living area with spectacular sea views, internal staircase, and bathroom with glass cabin shower with hydromassage jets. 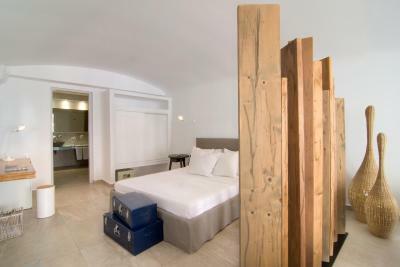 Guests in this soundproofing and air-conditioned suite are benefited with a private entrance. This suite has a balcony, private entrance and mini-bar. 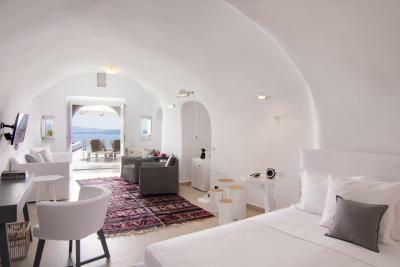 Opening to a terrace with a hot tub and sun beds, this villa includes an open-plan bedroom with a canopy bed, and a bathroom with a cabin shower. 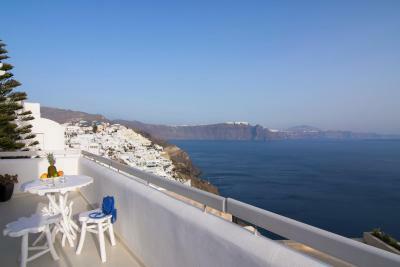 This suite is located 164 feet from the main property, on the popular Oia pedestrian. 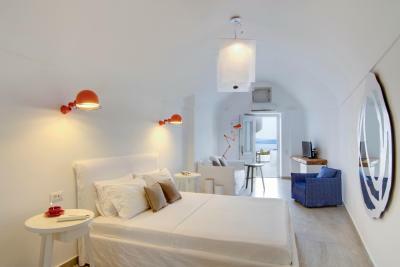 Santorini Secret Suites & Spa is a romantic and relaxing spot! 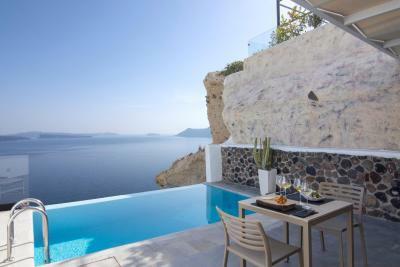 Caldera-Volcano- Sea View may be enjoyed with our unique Cocktails at our Main Infinty Pool. 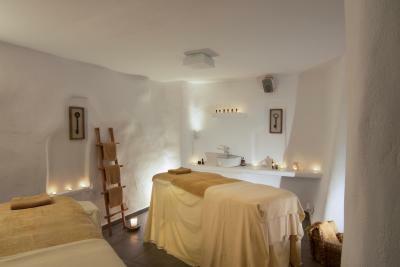 Romantic Couples massages may be arranged either in our Spa or in their Suites. For Special occasions Private Dinner on guest private balcony may be arranged. 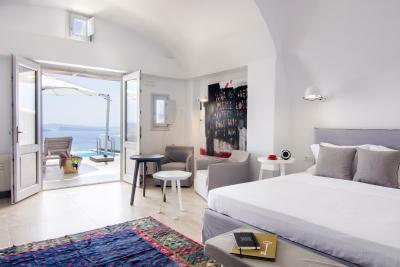 House Rules Santorini Secret Suites & Spa, Small Luxury Hotels of the World takes special requests – add in the next step! 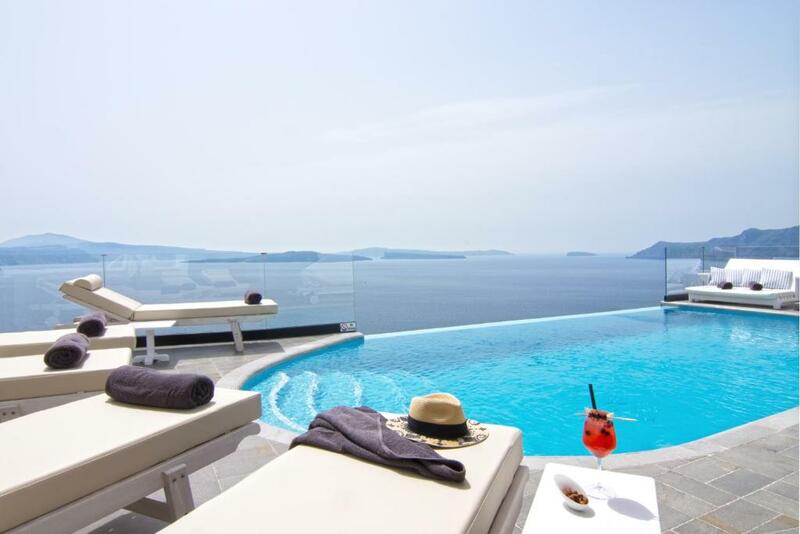 Santorini Secret Suites &amp; Spa, Small Luxury Hotels of the World accepts these cards and reserves the right to temporarily hold an amount prior to arrival. 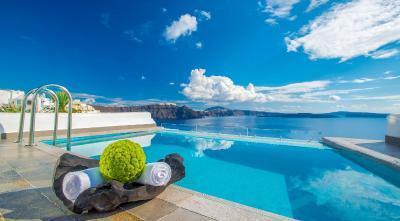 Santorini Secret Suites & Spa, Small Luxury Hotels of the World accepts these cards and reserves the right to temporarily hold an amount prior to arrival. When booking more than 5 Suites, different policies, supplements and cancelation policy may apply. Kindly contact the property for further details. Nothing, although I would mention that aside from our suite, which was very private, a number of the suites were not very private from the perspective of the outdoor pools and jacuzzis. I would suggest that you speak with the hotel to secure the most private rooms if that is an issue for you. 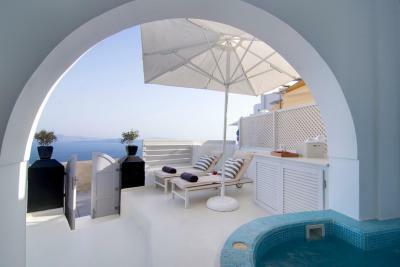 Our suite was 128 steps down from the main walkway of Santorini . We got used to the steps eventually. Where to start! It’s easier to say what I didn’t like! With isn’t much!! Thank you to all the staff reception, bartenders and room service, and the 2 spa girls. The hotel was exceptional in terms of comfort and facilities offered - however the best part was the staff, from the cleaners to the hotel manager the personal and personable experience they offer to their guests was beyond fault. Location was breath taking, service was impeccable and the staff were very friendly & always wanting to belly. Breakfast style - when you stay for a week, breakfast get very monotonous. Selection is not so big. I must say although well done, the food and service were overpriced (example two drinks nearly $30; dinner for two at their restaurant with VERY SMALL portions - two drinks 2 appitizer, 2 meals and 1 shared appetizer - $188 not including tip!). Also Air conditioning was anemic - opinion shared by others I spoke with. Room I had was always slightly damp even with A/C on max. That I couldn’t stay for a month! 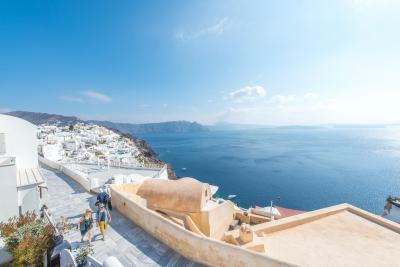 My husband and I have traveled to over 35 countries and Santorini Secrets is by far our favorite hotel we have stayed in. INCREDIBLE STAFF, Property, location and views. 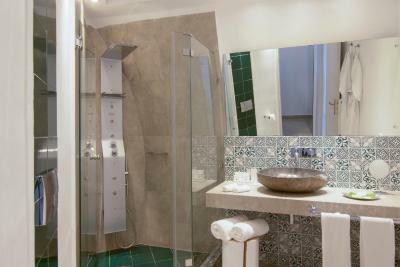 Every detail is covered when you stay here. The Black Rock restaurant on the property was a symphony for the taste buds. Amazing flavors, incredible staff, views and overall experience. I loved our breakfast experience. You fill out a form to custom choose your breakfast and it is delivered to your private room/balcony. The views are breath taking and you feel very much at home. The property is extremely clean, peaceful and safe. I LOVE the location. Overall, I was tearful to leave the property and staff as I felt like I was saying goodbye to family. My husband and I will never forget this 25 year anniversary experience at Santorini Secret. Honestly, we searched for almost a month to choose where we would stay and chose SS. We were so grateful we did. Best hotel experience of all five star boutique hotels we have stayed in. 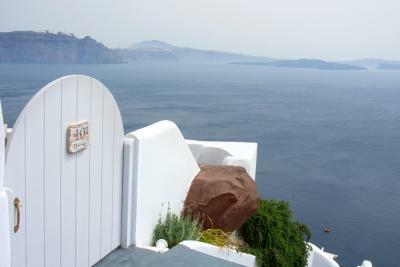 We are already planning a trip for next year; first to stay at Santorini Secrets and are the incredible staff and then Oia. Amazing place to stay and perfect in all other ways!!!! This was one of the absolute best places we stayed at. Yes, it's a touch expensive - but when you are there, you definitely don't feel it. 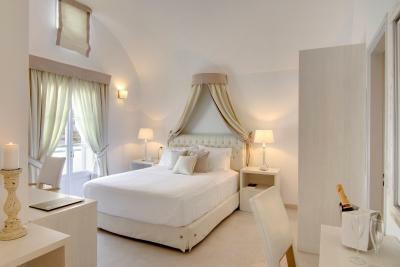 The rooms are large and lavish, the service staff is extremely helpful, and the location and views are spectacular. I really do have the write about the level of care the staff takes. They are always there to help you in every possible way. I also have to recommend Manos the hotel manager and Alex, the general manager. 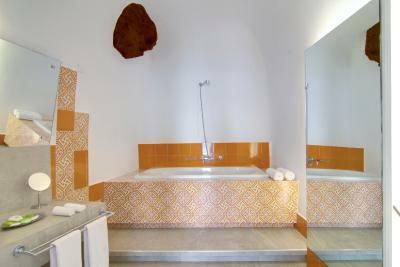 Manos in many ways is the face of the hotel and takes an extraordinary amount of care of the guests. In our case, we had a strike that extended our stay by a day. Manos called and arranged for ticket exchanges and refunds. The breakfast is prepared to order and served at your room - there are plenty of vegetarian options as well.